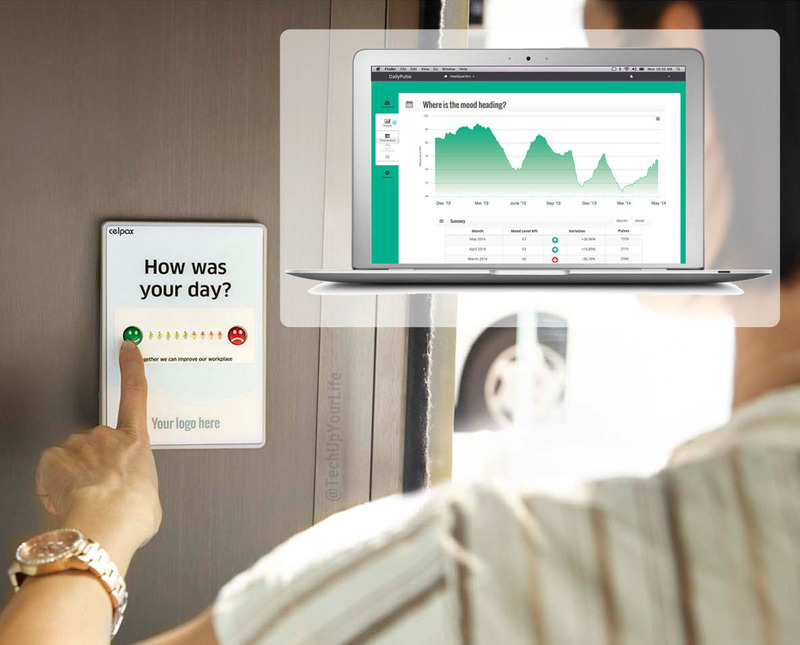 Thanks to our sponsorship with the Agile People Conference, visitors are on a fast-track scheme and are guaranteed to pick up 1 free Celpax device to measure employee mood! The purpose of the Agile People Sweden Conference is to challenge and inspire HR and leaders to apply continuous improvement using agile methods. 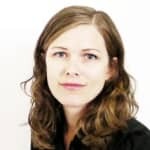 “With agile values together we can create organizations that are more competitive and fit for the future and for human beings,” says Katarina Starendal, one of the organizers. 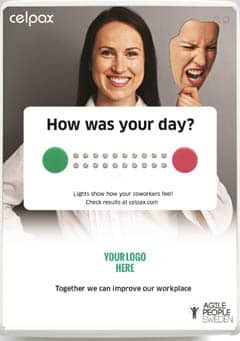 As employees head out after a days work, they answer “How Was Your Day” in the lobby by pressing the green or red button on the Celpax device. You see the daily mood result directly after pressing (not before hehe) indicated by a bar of red & green lights on the device. The weekly, monthly, yearly, etc. results are available online through a cloud-based dashboard. What we hear from our users is that tangible numbers, hard facts, opens the door to meaningful conversations that bring out what needs to be fixed in your culture. 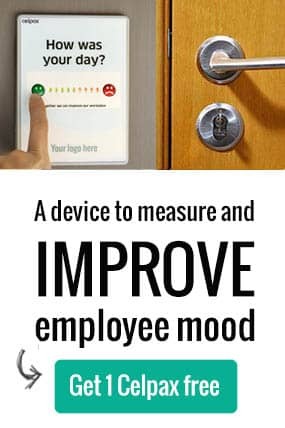 Having an Employee Mood KPI (e.g. 65% press the green button on a “normal” day) means you will know when you need to talk to your people, celebrate wins and continuously lay the bricks that makes your workplace better prepared for tomorrow’s challenges. It helps you open up your workplace… as long as you’re prepared to act on the results . People will feel safer to tell you why they didn’t have a good day and pressed red, if they know that 75% of their colleagues pressed the red button yesterday. This way you can adopt an agile management style and continuously improve your workplace. The conference will definitely spark ideas and inspiration, as you hear how HR-gurus and agile leaders continuously improve their workplaces. To verify if your improvement initiatives are working, you can get a fast-track DailyPulse from myself and Rafael at the conference. We’re happy to announce that you’re guaranteed a free device thanks to the sponsorship with Agile People Sweden. Meaning that our normal waiting list criteria does not apply to conference visitors. “Agile People Sweden is a progressive conference on Agile HR and leadership, with questions related to where we are going, and how we can create organizations that face the future. We want to communicate passion and a sense of wow, this was something new”, says Katarina Starendal, one of the Swedish organizers of the conference taking place in Stockholm on Sep 25th. Make sure to signup and send your logo before Sep 19th, this way I can guarantee that it will be ready on time. At the English conference, you can catch the latest trends within agile leadership and talent management. You can participate in conversations that matter (note that this year the focus is less on talks and more on conversations – get involved!). Myself and Rafael are looking forward to getting inspired by HR-legends like Joris Luijke and Jurgen Appelo, listening to HR and leadership insights from companies like Spotify and King, plus enjoying a bit of agile ale. Come ask us what insights and benefits companies like Unilever, Zerorez and Swesale are getting from measuring their employee mood continuously. Rebecca is a reluctant number lover, co-owner at Celpax, and convinced that a great workplace is everyone’s job. You can find her in the playground when she’s not on Celpax’s web chat. Come to Agile People Sweden or say hi! Agile People Conference: Test the Celpax device! Agile HR: Measure, Talk, Improve. Repeat!